A very effective fighting knife. This example is believed to be Italian non-issue. Can be seen in the book ‘Fighting Knives’ by Frederick J. Stevens. Wide 23cm blade made from high carbon steel. Fitted with wide steel quillions for good hand protection. 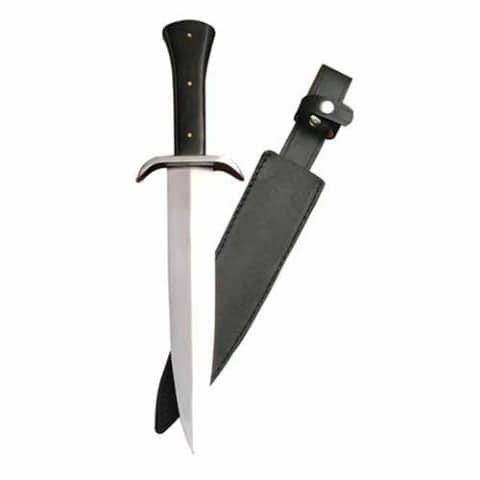 Full length tang is fitted with a black horn grip with brass pins. 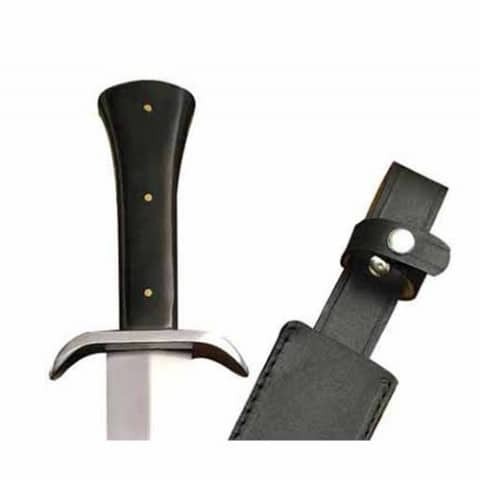 Coms with a heavy leather scabbard.